Mr. Raymond Charles Aurand, age 90, of Dothan, Alabama passed away Sunday, April 7, 2019. Born March 19, 1929 in Freeport, IL to the late Charles Edward Aurand and Mae Louise Boeger Aurand, Ray served his country in the United States Air Force during the time of the Korean War. He retired from civil service, after 28 years as an Advanced Aeronautics Instructor, working until his retirement at Ft. Rucker. He was a lifetime member of the Dothan Elks Lodge. He enjoyed sports, fishing, hunting, golfing, grilling with family and friends, motorcycling, travelling, reading, and was a lifelong learner. In addition to his parents, Ray was preceded in death by his son, Charles Aurand-Hosey and his brothers, Dewayne Aurand, Laverne Aurand, and Norman Aurand. Ray is survived by his children, Lee Aurand (Laura) and Karen Hale (David); his grandchildren, Alexandria, Bonner and Kenneth; many nieces, nephews, other relatives and friends. 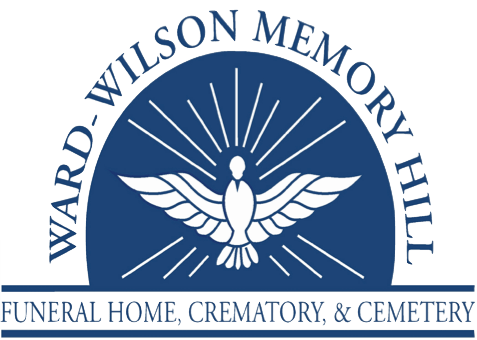 The family will receive friends from 11:30 AM until 12:00 PM, Thursday, April 11, 2019 at Ward Wilson Funeral Home with a memorial service following. Wow....Where do you begin celebrating 90 years of life????? He lived and saw more change than can be said today. The Bible teaches Honor being the primary mechanism by which we receive inheritance and is not limited to merely money. I want to share what I love and is honorable about my Dad and what he’s passed to our family. Born and lived during what is referred to as “The Greatest Generation”. Contributing to building a Nation. Also they’re famous for repurposing.....EVERYTHING got repurposed before repurposing was “trendy” and disposed of only if it could no longer be useful. Dad was born between WWI and WWII on March 19, 1929, and was the youngest of 4 brothers. He was raised on a family farm in Nora, Illinois a couple hours west of Chicago surrounded by fields of corn....as far as the eye can see. There’s nothing out there but corn ....and a few taverns. At this time he gained a strong work ethic early in life when his 3 older brothers left home to fight in WWII. We often heard stories of being up early while it was still dark milking cows...by hand! No machines doing the work for ya! and making local milk deliveries. He also cared for other daily duties of gardening and feeding animals. And as you’d expect, he enjoyed the fruit of that labor. He was a beef and potato man all his life and when I friends who brought him fresh raw milk from local dairies, that was the best! I remember dad growing tomato bushes upside down before it was ever popular. He had a green thumb- he’d cut a bush, stick the cuttings in the ground, throw on some water and watch it grow. During his high school years dad’s nickname was Punch- I’ve discovered just about all the Aurand men were called Punch;). And his senior quote was “I don’t know what its all about, but I’ll argue the point anyway”. He participated in Chorus, Letterman, Football and Basketball, W-Club, and was on the yearbook staff. Dad always enjoyed hearing my brother Charles sing and compete at Karaoke. One of my favorite childhood memory’s is waking up to KC and the Sunshine band. I’m sure this is where I got my love of 70’s music! But dad enjoyed all the eras of music and styles even classical. Every morning until he passed he would say “turn the radio on, let the music in”. His love of sports was evident and he’ll be entered into the annals forever having run a 95 yard touchdown his Senior year. Now I know where running fast with short legs comes from. I often think how he would have been sitting by the radio to LISTEN to what was happening at baseball and football games. And how glorious it must have been for him to watch it live on TV for the first time. He was a fan of the Chicago BEARS and CUBS his whole life. 1985 was the best year ever with the Bears winning the Super Bowl and last year was great following the Cubs almost to the World Series. He encouraged my brothers from an early age to play football starting with the peewee league here at the boys and girls club where I was a cheerleader for their team, The Raiders. Football season always included boiling peanuts in the beer keg where dad experimented with different seasonings. And used a 2x4 as the stirring and flavor stick. After High School he joined the Air Force and served for 4 years non combative during the Korean War. Shortly after an honorable discharge he relocated to work at Fort Rucker. He retired from civil service after 28 years having 2000 hours accumulated sick leave and received multiple outstanding awards throughout his career. He was also a lifetime member of the Dothan Elks Lodge where we all learned to swim. Dad modeled hard work and would often tell us to “live on what you make, not what you wish you made” and the value of enjoying what you’d earned. He encouraged us to save and have financial margin and to enjoy life along the journey. Added to his strong work ethic was recreation. Dad understood working hard but he balanced it with what he enjoyed and valued along the way. Most of this time consisted of Fishing, hunting, motorcycling, GRILLING, golfing, dancing, GRILLING, drinking a Miller High Life and grilling. All of this evident in his photos with family and friends. And as any good father, he gave us gifts. Not because we had earned them, but simply because he loved us. Dad always valued learning whether formal or informal and was an avid reader his whole life. Dad valued family. My greatest memory of this is when I got married. He told me, David became my family over everyone else, including him. He understood the principle of leaving and cleaving. Yet, coupled with that he knew the importance of extended family. His love for this was known by regular summer visits to our grandma in Illinois where upon arrival we’d find homemade baked sugar cookies and chocolate cake made from scratch which had been given frequent tastes test after each ingredient to get it just right. I remember sitting at the kitchen table as grandma added each ingredient into the blue mixing bowl. I hope these are fond memories for all the grandkids. I know we all enjoyed the treasures we found in her attic! We also got to enjoy our aunts and uncles and cousins. We felt extra special....because out of town cousins are like celebrities! He was often found with his nearest living brother Norman and his family on many occasions. Adding to what will be one of my greatest memories is that of my dad believing in the kindness of God and how deeply loved he was by Jesus. I got to witness the fruit of my grandma’s prayers for my dad....her son. This book was at my dads that my grandma Aurand had sent him and I’d like to read the prayer she’d sent him.